My favourite children’s book was a book of fairy tales. I loved the pictures! No very daring I know! That book wasn’t a hit here, but I love that your family has a deep connection with it. I’m not sure that book is for everyone, but yes, it has deep meaning for us. I’m not sure any book is for everyone. Clearly, it has a following, so there’s something about it that has value to some. You’re right…it would make an interesting tattoo. I can see the Prince holding the Rabbit on Toot’s deck, while he blows merry steam rings…maybe in the shape of hearts. Alexander and the no good very bad day. Thats part of the title. Me and my kids love that one. I don’t think it would make a very good tattoo. I read that book when I was a child! I don’t know that I have a favourite children’s book. There are a few I enjoyed reading to my kids – can’t remember any of the names at the moment. 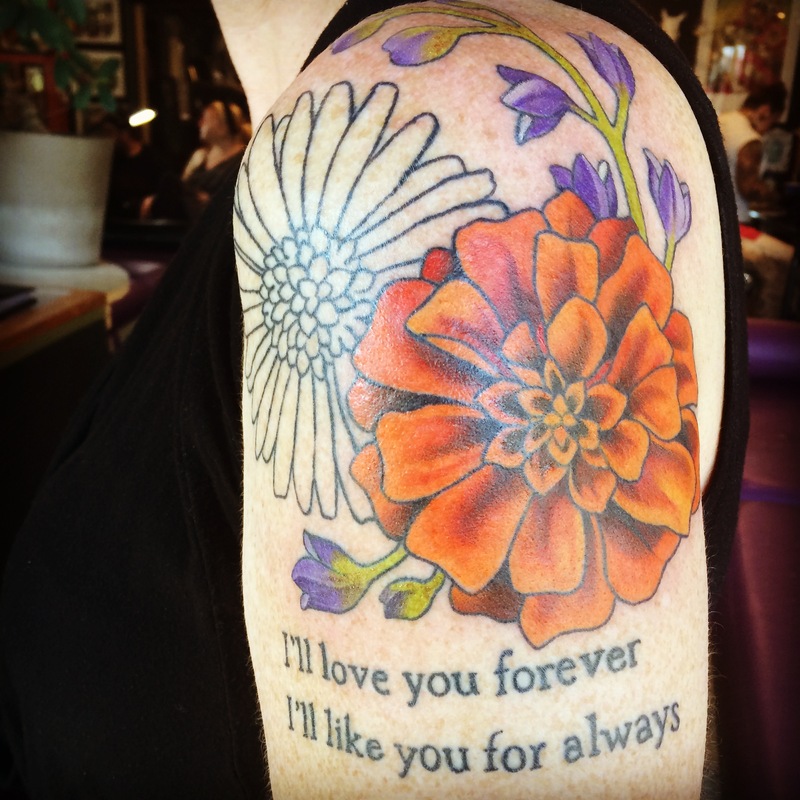 It’s great though that you have such a wonderful memory of time with your children that you wanted to tattoo it. My tattoo for my kids (there was just one at the time, but the next time I get a tatt I’ll get one for the other two) is a butterfly. Just the idea of the cocoon… it has a special meaning. Thanks for sharing this wonderful story! 😀 Your tattoo, and your daughter’s are beautiful. 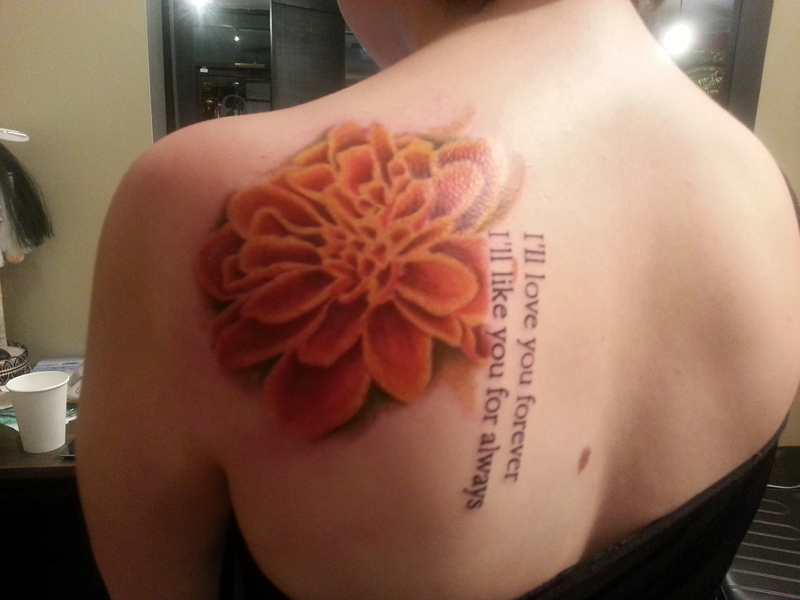 Thank you for stopping by and for sharing your tattoo. I know they aren’t for everyone, but I do know that many people have special meanings for their tattoos. Thank you for stopping by. The placement of my tattoo was probably the hardest part, after deciding what to actually do. I wanted to be able to see it, but it’s tough when most work places don’t like them showing. I went ahead and took the risk on my arm, though, and I’m happy I did. I was originally going to put it on my ribs, but I don’t think I would have been as happy as it would have limited my view of it. A great story a beautiful tatoo! Thank you so much! I’m so happy you enjoyed it. What a beautiful story. I read that book in your home and loved it. I love the colors in your tattoos. I love the message at the bottom. So very touching. I was first introduced to this book when I was pregnant with my miracle child, my son. The first time I read it to him, he was still in my womb safe and sound as I read and rocked him while I read it to him with tears rolling down my face. As a baby, toddler, and preschooler it was one of his favorites. He would reach up with a very soft hand and remove the tears from my face as I read it to him. Once he was in kindergarten, I would turn the pages and he would tell me the words. He wasn’t reading them, mind you, he just knew the story so very well that he quoted each page by heart. Then he while sitting in my lap, he would wrap his little arms around me and rock his momma. 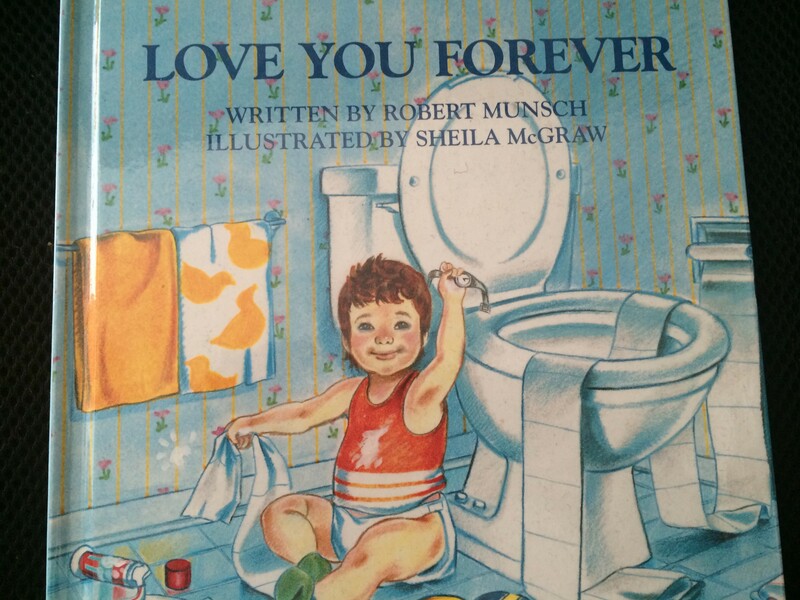 I used to read ‘guess how much I love you’ to my kids over and over. I still have a copy. Thank you for sharing. 🙂 I’m going to make sure I don’t lose any more copies of favorite books.